"We always called him Harry or Possum". The nick name given to Lasseter by members of the expedition in allusion to his secretive nature, "Poor old Possum. His reef still lies in the heart of the mulga and spinifex". "The following Saturday Bailey introduced me to Harry Lasseter. 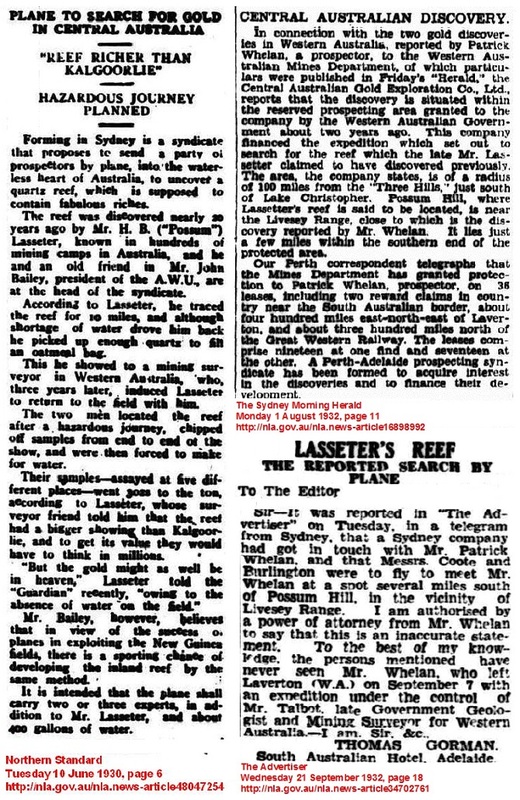 We always called him Harry or 'Possum', but in the records of the expedition he signed himself as Lance Harold Bell Lasseter". Blakeley Fred Dream Millions 2. Coote E.H. Hell's Airport 249.